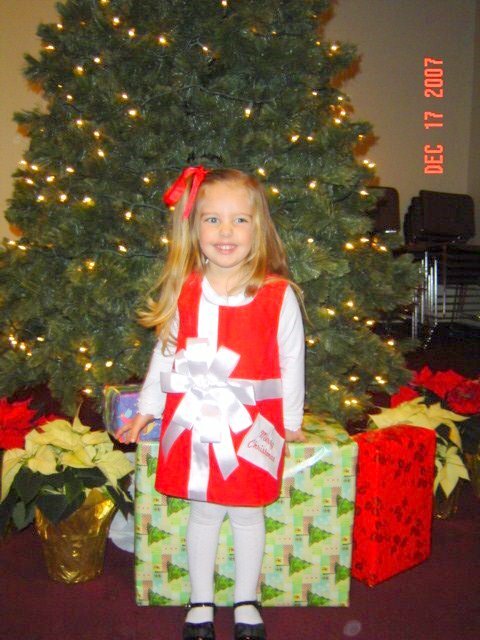 This is Grace at her Preschool Christmas Program last year. She looks pretty in that Christmas gift inspired dress. popping over from SITS....that is an awesome dress!